I enjoy reading the travel blog A Word in Your Ear. The woman who writes it sponsors a weekly challenge called “A Word a Week Photo Challenge”. She randomly selects a word from the dictionary and invites readers to post photos (or stories, poems, etc.) that illustrate or define that word. This week the word is “mother”. For the first time in my life, I’ve decided to toss one of my photos into the mix. This photo was taken at Sea World in Orlando at the Sea Lion exhibit. We spent a long time watching the mamas and babies snuggling together. It was adorable and I think this photo illustrates the cuteness factor very well. I’ve seen sea lions in the wild, too, and they behave the same way, gathering into large noisy piles for warmth and companionship. 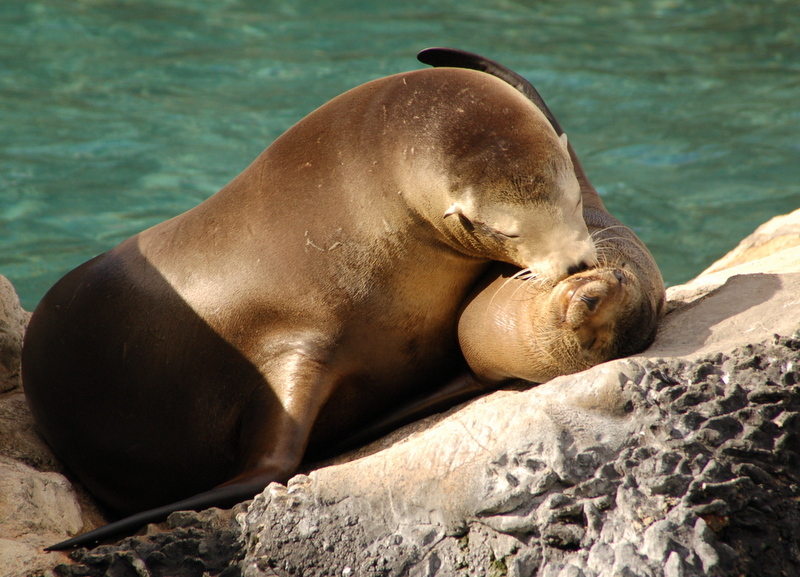 It would seem that cuddling is an innate behavior for all sea lions, not just mothers and babies. Now that’s my kind of instinct. Check out this post for more offerings! Thanks for the like on my blog! I am now following yours and I hope you will follow mine as well. Thanks again, Blake. You are welcome, Blake. I’m now your follower, too! 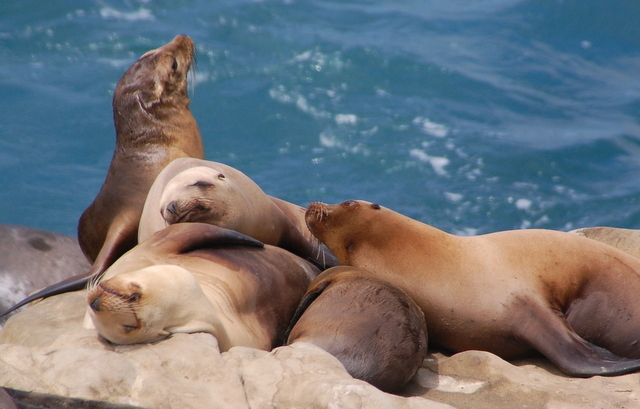 I remember watching the sea lions when I lived near La Jolla … Thanks Stephanie, those were great memories. The first shot is just lovely!